As reviewed on W11 blog posting for the Production Sharing Contractor (PSC) cash flow based on production point of view, the next step is to analyze the opportunity of electrical supply as a critical driver to deliver oil production. Currently the electric has been supplying by other PSC Contractor since year 2002 and the Power Supply Agreement (PSA) will be expired on year 2011. 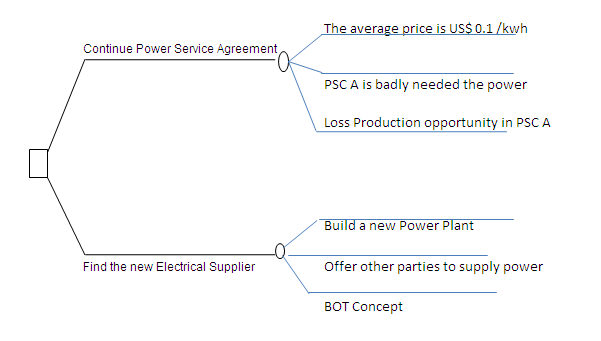 Push PSC A to extent current Power Supply Agreement till the end of PSC contract. PSC B to find the source of electrical which fit for purpose. The electrical production cost declined is based on the offering from other independent power producer benchmarking against cost of electricity which applied in Indonesia. It is also triggered by depleted of oil production as matured over time. 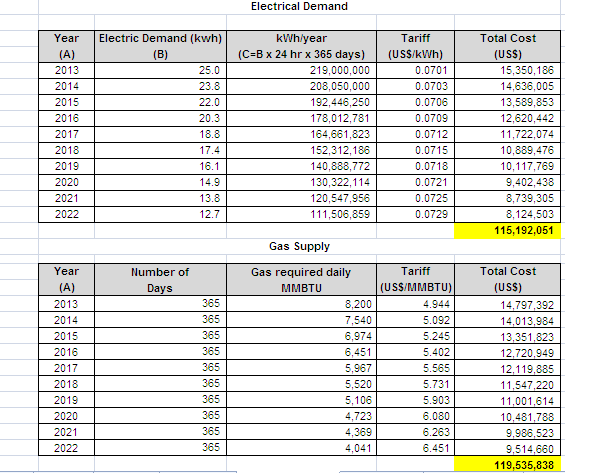 The lowest Operating cost including electrical price. The current PSA is running with 10 cent / kwh which is too high and there is no option when the contract was signed in year 2002 to keep maintaining the oil production. BUY electric from independent power producer, is this worth Doing? Estimated revenue generated as calculated is US$ 2,500 Million.The best Government Take is US$2,240 Million for12 years operation. How is the Life Cycle Cost look like? By having the other power supply tie in will give the flexibility to run all production wells in case the power shut down to one another. The successful of the project will be critical to accelerate the availability of power to production wells as oil price is maintaining high. This entry was posted in Candra Nugraha, Week #12, Weekly Submission. Bookmark the permalink. 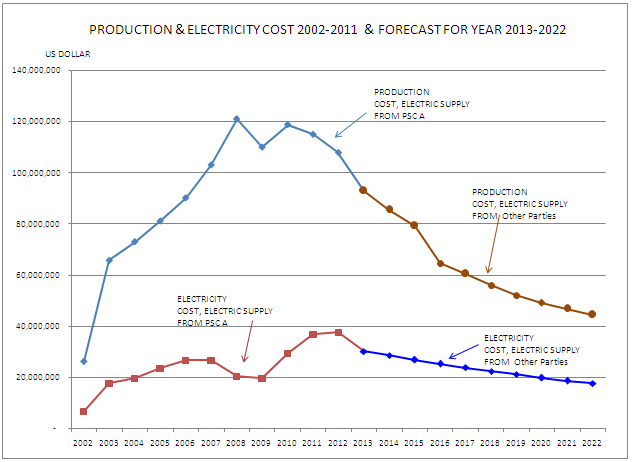 Your usual outstanding example, Mas Candra but given what you have been playing with in terms of gold prices and the purchasing power of the dollar, how reliable do you believe the projected costs of electricity are? I have no idea if this is accurate or not, but based on what I am seeing, I would be EXTREMELY SKEPTICAL of any feasibility studies that involved a DECLINE in prices. Very curious what would happen to the economics of this project if, instead of using what I consider to be very optimistic (unrealistic??) projections and instead, converted all your cost estimates into ounce of gold equivalence and then using the price of 1 ounce of gold projected forward, ran the calculations using THOSE numbers? While your calculations may not prove to be very popular, here is an example where you have some pretty solid historical cost trends on your side. Keep up the good work, but I would like to see a more realistic projection based not on HOPES or DREAMS, but on some realistic cost projections, even if only looked at as a “worst case” scenario.